What is a Touch Screen Monitor and How Does it Function? Are Touch Screen Monitors Worth it? Are you here looking for some of the best touch screen monitors out there? With the advent of touch screen technology, out lives have met a revolutionizing change. Touchscreen and multi-touch surfaces have become an integral and crucial interaction between a human and a computer. Much akin to how keyboards and computer mouses permanently changed the interaction with computer, touch screen technology has brought about an interactive gesture based technology where a swipe and scroll gets us through with tasks much effectively. Today touchscreen devices; monitors, tablets and Smartphones etc. together form the most profitable tech industry in the world. And it continues to grow by spreading its tech-tentacles to many new innovations in the same industry. The truth is all future tech-devices will inculcate and carry with them some echoes of touch interfaces. This industry still has a long way to make speedier advances to more innovations and technological jumps. In this article we will be talking about how touchscreens monitors have played their revolutionary part in reshaping human-computer interface and review some top touchscreen computers. A touchscreen monitor is an electronic visual display that has the ability to “detect” and effectively “locate” a touch made over the display surface. Sensitive to the brush and touch of a human finer, a hand, finger nail or passive objects like a stylus or ‘pen’, it enables users to manipulate thins on the screen, scroll through, enlarge or minimize them etc. Should you go for any of the best touch screen monitors? Although for an average Joe a touch screen monitor wouldn’t be too handy, it does serve its purpose in some scenarios. Touchscreen monitors can be great in commercial environments. Since touch screen monitors are a lot more intuitive as compared to tradition monitors, they can be useful when using certain apps. Kids in schools or home can also easily interact with touchscreen monitors. Furthermore, artists, and graphic designer can use these monitors. A standalone touch screen monitor is the one that functions on its own, devoid of any connection to a LAN (local area network) and comes with a touchscreen interface as its name provides. Standalone touch screen monitors are just like any other monitor that you see in the market. They have to be connected to computer in order to function. These are much cheaper options and are available in all sizes and shapes. All in One Touchscreen Monitors are generally the more popular bunch. As the name implies, these monitor basically have an entire computer within them. So they have the processor, RAM, HDD, Graphics card, ports and other hardware built-in. It is for this reason that they are also called All in One Touchscreen Computers. All you need to do is attach a keyboard and mouse and you will be good to go. These type of touchscreen monitors are elegant and neat, but they are also expensive. Let us have a look at some of the best touch screen monitors now. Putting together masterpieces destined to become monitors, is how Asus does the trick their products. This one is a 19.5 inch, 10-point touchscreen monitor for an incredibly intuitive input experience for users, coupled with amazing visuals on a HD widescreen display with incredible 5ms response time. For people who want their workspace to look modern with a touch of aesthetic ASUS VT207N Touch Screen Monitor comes with an elegant circular base design and a VESA wall mount ability. The ergonomic tilt display enables the user to have a very comfortable interaction with the touchscreen monitor. What more? This VT207N comes with a multiple video and peripheral connectors that include VGA, DVI-D and USB which means that it is equipped to serve you anywhere you place it, be it home or office. With promising compatibility with Windows 8, the touch screen is very responsive to the users and the resolution is equally appealing. Even printing images on this device is very easy because of the very effective onscreen grid feature which enables you to choose the photo size and actually view the print before transmitting it to the printer. ASUS is a brand that lives you high functionality and durability in a touchscreen monitor. Are you looking for an easy to use, uncomplicated and user friendly standalone touch screen monitor for college, work or home? Dell has earned a reputable image in the manufacture of some highly functional touch screen monitors that reflect fine craftsmanship. 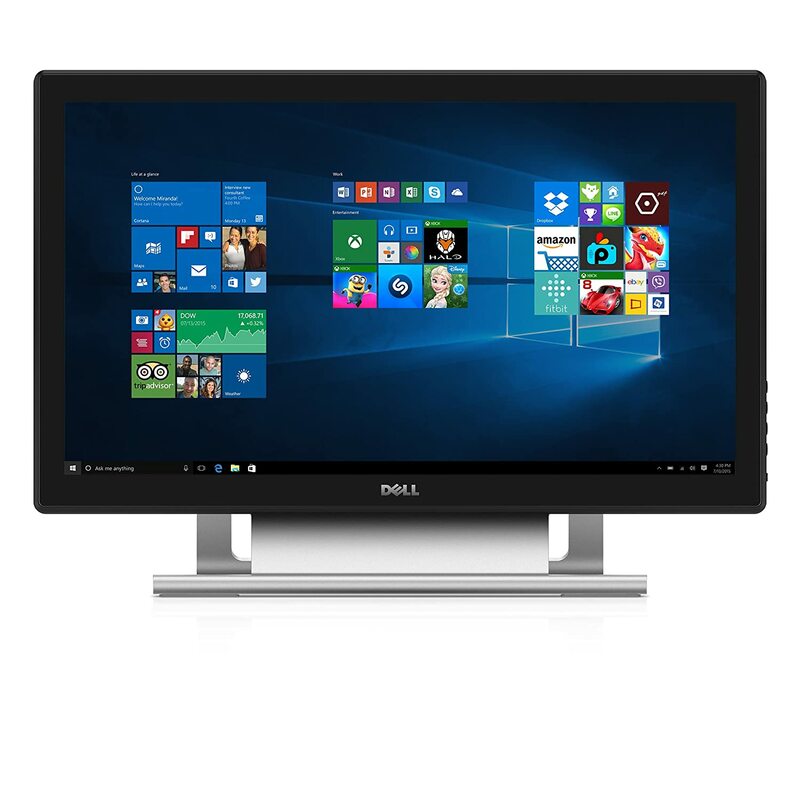 Dell S2240T with its edge-to-edge 21.5″ glass job has earned great approval by many users. It allows users to connect a USB cable through a computer to this touchscreen monitor’s USB upstream port. Users have a variety of options to choose from to project image on screen by a HDMI, DVI or VGA cable. Other cool features that have earned this Dell model many accolades is its multi-touch that is very responsive and effective. Another very good feature is the HD display with 1920 x 1080 (max) resolution that entertain users with great clarity of onscreen details and usability that comes in a very good design. These features make it a best choice for students and professional workers. The ergonomic stand allows you to slide and adjust the panel very smoothly to touch, scroll, type. You can tilt the panel to your feasibility to use and comfort up to 60°. While working, you can put the monitor in an upright position, using the keyboard and the mouse. And if you want to use your favourite social media, play games and browse pictures, the screen can be folded by you to an angle that suits you; kicking off and enjoy a whole innovative tablet experience. So the cool features come with increased comfort with Dell S2240T too. What’s more? It is not only user friendly but environment friendly too; with the power consumption that is typically 20W you save energy and cost. This 22″ multitouch monitor is backlit and come with 1920×1080 Full HD resolutions that give users clear and crisp images. They come with intertied speakers that provide clear sounds. 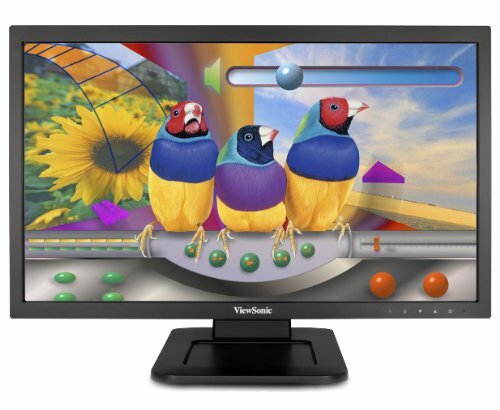 With DVI and VGA inputs and VESA mountable designs, this ViewSonic comes with dual optical touch with 8H hardness that is resistant to bad scratches preserving the good touch experience of the monitor. For people who are very concerned about environment and saving cost, this ViewSonic functions on an Eco-mode saving up to 40% energy. With its highly functional features it presents itself as a perfect touchscreen monitor for both commercial and consumer applications as it caters to all sorts of multi-touch monitor needs. View Sonic TD2220 supports a USB HID touch driver that is proves its great compatibility with Windows 8; which is most common choice amongst users. For users who are reluctant about acquiring this monitor, here is the reason why you should o for it: it has a strongest pixel performance in the industry that comes with 3 year limited warranty. ViewSonic TD2220 is also ENERGY STAR and EPEAT Silver certified with added Kensington lock slot for more security. The Taiwanese multinational Acer has manufactured great hardware and their success in producing excellent touchscreen monitors has no paralleled match. 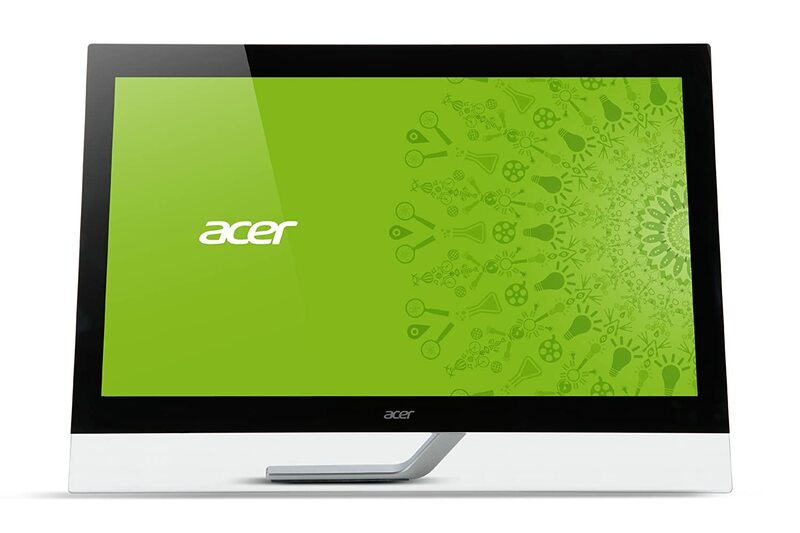 Acer T272HL is an intuitive standalone touch screen monitor that is equipped 10-point touch screen that is highly compatible with Windows 8. This is, since its release, one of the best touchscreen monitors. For a totally fun yet professional experience at home, office or college, this large 27″ edge-to-edge widescreen display of 1920 x 1080 resolutions provides you the amazing and gorgeous onscreen high definition content. The choice of inputs includes VGA, DVI & HDMI (MHL) that allows users to efficiently and easily power and share the fun via your smartphone or any tablet, laid out in an amazing HD display. Are you one of those people who are bad with manual guides or avoid bothering with setup procedures? 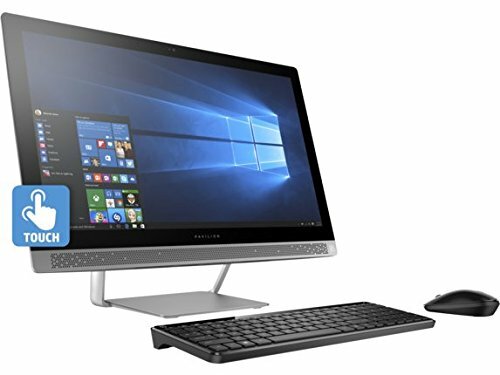 Acer T272HL allows you to connect your smartphones or any other mobile devices or even media players to this touchscreen monitor without messing around with any setup procedures. One of the best touch screen monitors. This is another marvelous creation from the Dell powerhouse from the Inspiron I3052 series. 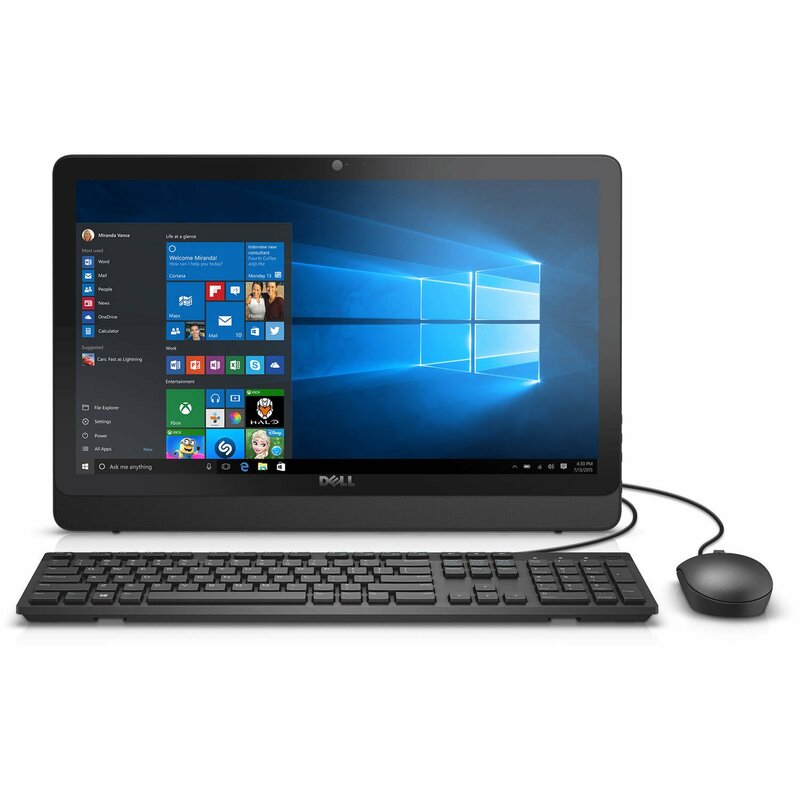 The product has some very good reviews on Amazon, but that is something explainable as it is equipped with 19.5 inch HD screen and is LED backlit powered by True Life with a crazy-good screen resolution that is an amazing 1600 x 900 that does wonders on a touchscreen monitor like Dell Inspiron I3052. The descriptions of this particular product are sure to leave you very much baffled: the Intel Pentium N3700 is Quad-Core 1.6GHz Processor coupled with Intel HD Graphics. It comes with a 4GB Single Channel and a commendable 500GB 5400rpm hard drive. Its inborn promising compatibility with Windows 10 makes it an excellent choice. 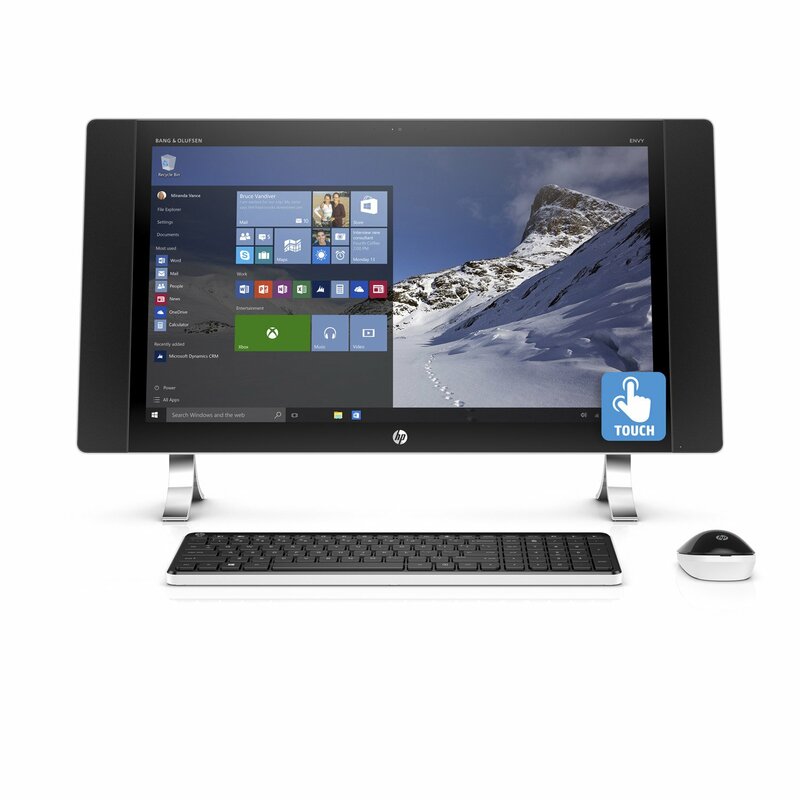 HP ENVY 27-p041 Signature Edition All-in-One Desktop provides clear and sharp picture quality, rich in pixel quality. The solid HP execution holds nothing back in excellent performance in this Pavilion 27. From the design itself, the performance of this all in one touchscreen computer should be evident. Its 27-inch WQHD touchscreen conveys a profoundly immersive picture quality, while a 6th era Intel Core i5 processor and 8GB of memory conveying multitasking muscle for both work and play. It has a thin edge, aluminium-covered stand, and delicate pearl-coat complete the process of making it the point of convergence of any room. The super-hey res WQHD show has a determination of 2560 x 1440, conveying a stunning 221 pixels for every inch—a 90% higher pixel thickness than a HD screen. AMD Radeon R7 A365 illustrations convey exceptional visual authenticity and guarantee phenomenal execution for gaming and video playback. PC speakers from the sound pioneers Bang and Olufsen convey immersive encompass sound with uplifted clarity and profound bass. Lenovo has been leading manufacturers of multi-touch screen all in one monitors in the industry lately. 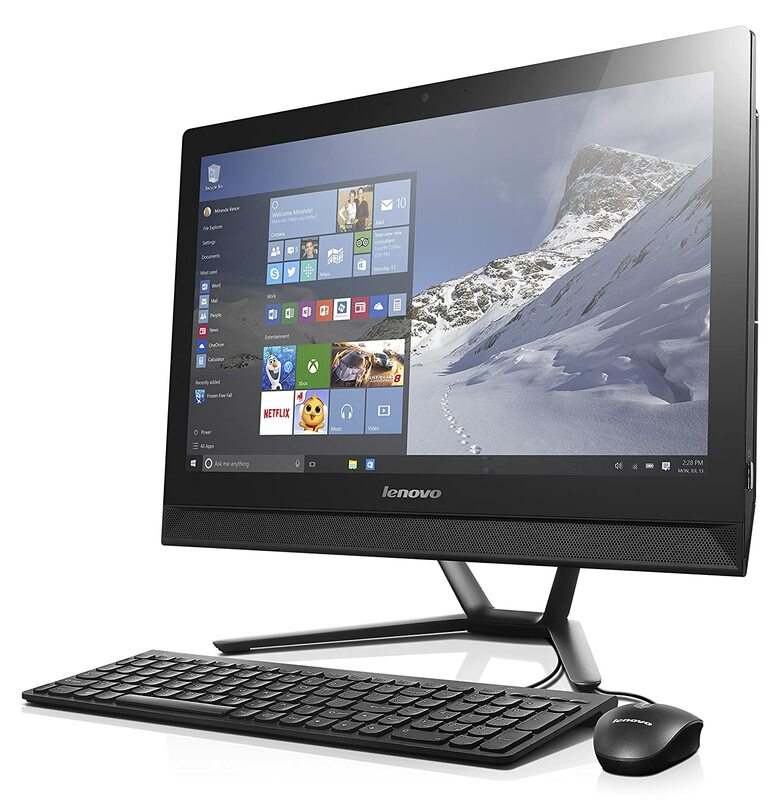 Lenovo C40 21.5-Inch All-in-One Touchscreen Desktop has been another of their very fine masterpieces that guarantee high functionality and all together a very user friendly experience. Quiet space saving. For the casual and professional users it provides an excellent medium for sending and receiving emails, video playback, and homework, making the C40 All-in-One the ideal choice for eneral purepose use. Aain if you are are a person who finds set ups a difficult job to tackle, this C40 has an obvious perk for you. C40 will not ive you any trouble with your toolbopx or other installation drags. Lenovo C40 has been worked to persevere through the trial of time with device free expandability. You can evacuate the back plating without having a troublesome messing around with your tool kit. And if you are worried or perplexed with any upgradations, the C40 gives you the capacity to extend and update as time goes on. It is equipped with 1TB hybrid hard drive and Windows 10 making HP Pavilion a very good choice for users. Users that want a touchscreen monitor for general purpose use for both homes and office. It has a 27″ diagonal FHD UWVA that functions as an anti-glare with LED-backlit. HP Premium also comes with a wireless keyboard that caters an effective volume control & optical mouse.